Ex-Montreal cop Stéfanie Trudeau has been handed a 12-month suspended sentence and will do 60 hours of community service for assaulting a man four years ago. 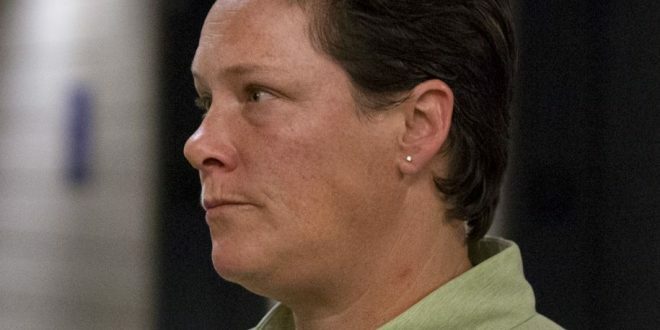 “I find this case to be unjust and unfair,” Trudeau told Quebec Court Judge Daniel Bédard before he sentenced her Thursday afternoon at the Montreal courthouse. At that point, Bédard had made it abundantly clear Trudeau would not get the discharge she was hoping for. During a sentence hearing earlier in the week, Trudeau’s lawyer, Jean-Pierre Rancourt, had asked that his client receive either an absolute or conditional discharge so she could avoid having a criminal record. Instead, Bédard sided fully with the suggestion made by Crown prosecutor Jean-Simon Larouche and gave Trudeau a suspended sentence of 12 months of probation and ordered she carry out 60 hours of community service during it. Bédard said it was not in the public’s interest to give Trudeau a discharge. As Bédard went over his decision Trudeau sat in a seat at the front of the sixth-floor courtroom. She rolled her eyes at one point and later appeared close to tears when the judge said she had no right to complain about the media attention her case drew because she gave several interviews while pushing her autobiography last year. Trudeau tried to ticket a man named Rudy Occhietti for having a beer in hand as he opened the door of his Papineau Ave. apartment to a group of friends. When Occhietti protested, Trudeau quickly tried to place him under arrest. A friend named Serge Lavoie tried to defend him, and hurled insults at the police officer. So when she was done handcuffing Occhietti, she immediately went after Lavoie, entering his apartment illegally, and then forcing him down the stairs in a chokehold. She was also involved in a separate incident during the 2012 student protests when she pepper sprayed an unarmed male protester. The Crown determined in that case that Trudeau had not used unnecessary force as defined in the Criminal Code.